A "Your password has expired. To log in you must change it using a client that supports expired passwords" error is generated by your MySQL server, rather than by your MIDAS room booking system itself. It is caused as a result of a password expiration policy configured on your MySQL server which automatically expires MySQL user account passwords on a recurring basis, forcing you to routinely change them. 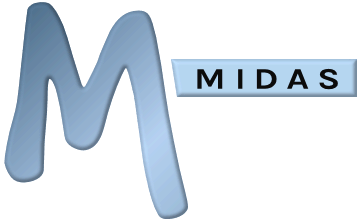 MIDAS cannot change MySQL account passwords for you. You will therefore need to login to your MySQL server and manually update the expired MySQL account password accordingly. Once you've set a new password for the MySQL user account that your MIDAS room booking system is configured to use, you'll then need to use our online Self Service tool to update your MIDAS settings accordingly to reflect the new password for the MySQL user account. Forcing arbitrary password expiration actually harms, rather than improves security, therefore, we'd also strongly advise that you disable the password expiration policy of your MySQL server to prevent a recurrence of this issue again in the future.